The key to understanding my psychotic breaks as well as much of the physical universe is understanding the fallacies behind infinite regression and infinite progression. The universe, including you and I, started somewhere and are going somewhere, and those somewheres were the true mysteries that my mind has been exploring. 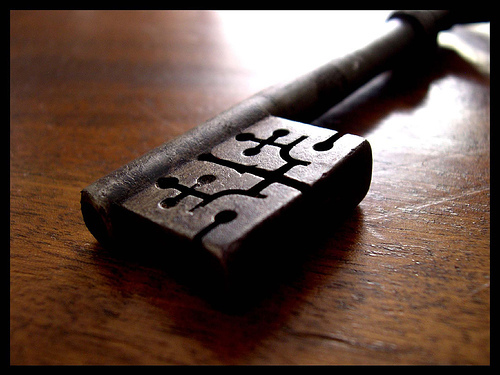 For one, the key is a skeleton key to understanding everything in our experience. It unlocks whatever door you want to open and puts it in a frame of reference: the mysteries of the mind, heart, the self, existence, consciousness, mathematics, distinct objects, behaviors, the past, present, future, all within the known physical and everyday universe – and more. I’ve gone into specifics before in my journals – how the basic idea is necessary for our sort of existence out of endless possibilities, going from completely unstructured to structured and unstructured at the same time, and infinite to finite and infinite at the same time. It is also a skeleton key to understanding my psychotic breaks. The concept applied to everything my mind could conjure while in those episodes and gave reality a frame of reference. The key kept me from slipping over the edge in my breaks. It was always there and prevalent that everything is significant and contributing to the series of events unfolding before me in my mind, starting from the Big Bang. Everything is significant and is tied together. One example: there cannot be a single person or tree without the metaphysical existence of the number 1 in its essence tied in with each individual person or tree, or each atom that make up the person and the tree. All of these things came from somewhere at a certain point and end up beyond the event horizon at some point. During my 2nd break in 2009, a care worker on the ward, whom I identified as a Christ (many there were a Christ) asked me, “have you read?” He handed me my Bible, and I sensed to open it up towards the back of it and Revelation showed up. I read on about the scrolls and the key of David. The care worker pulled out in his hand a physical gold key, identified it as mine, and he used to unlock the powers of God. He used these powers to fix my heart and the heart of a young woman I fell in love with on the ward. The heart I had in the other realm nearly exploded in my chest from beating so hard. I almost died. I remember clearly, after a thunderstorm brewed and became violent in that realm, an awful lightning strike happened while that worker was restraining the woman. As the worker looked in my eyes, sacrificing part of himself, there was a jolt to my heart when the lightning flashed in the room and a crash of thunder at the same time. I heard the woman cry out in joy, “You fixed me! You fixed me!” I had no idea how important that moment was. My heart no longer threatened to explode. It calmed down in my chest and hurt a lot. The worker there, who was himself in Christ in that realm, strode over to my side of the ward and forcefully asked me, “Who fixed your heart?” I wanted to take credit, or give credit to that woman, my parents, or that he did it… I could feel the frustration in his mind in my own. He yelled at me, “GOD DID!… God did…” There was a long pause. I thanked the worker after he said, “You’re welcome.” It hadn’t sunk in yet. I climbed into bed and got some precious sleep. I was never the same after that incident.